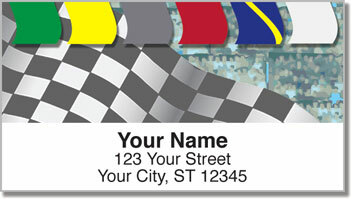 These high-velocity return address labels were made for racing fans and anyone who can't keep the gas pedal off the floor. They say you have a lead foot, that you're addicted to acceleration, that your need for speed will never be met. 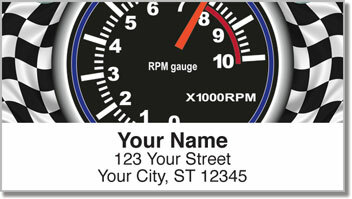 If you're the kind of driver who likes to watch the speedometer reach new heights - this is the design for you! 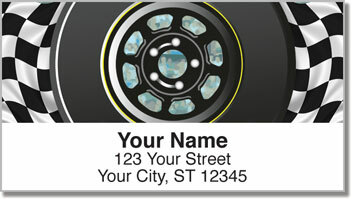 Racecar Address Labels will make the routine task of preparing outgoing mail super fast. That's the kind of thing a speed demon like you can really appreciate. 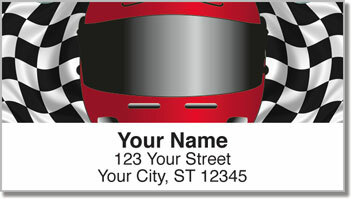 Get your own Racecar Address Labels right now! This sports-themed selection is also available as a set of matching personal checks.